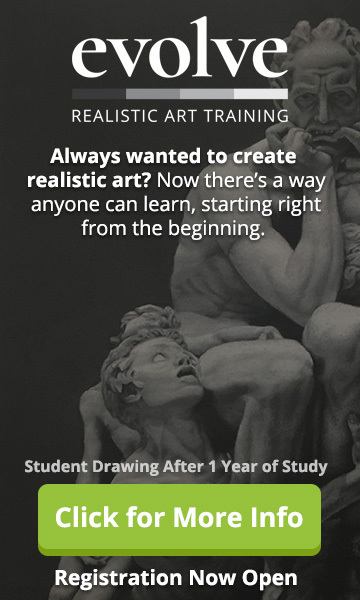 Want to learn about drawing motorcycles? 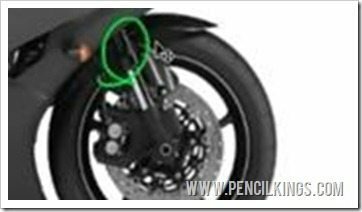 In this lesson, you’re going to learn about what each part of the motorcycle does…and how it works. 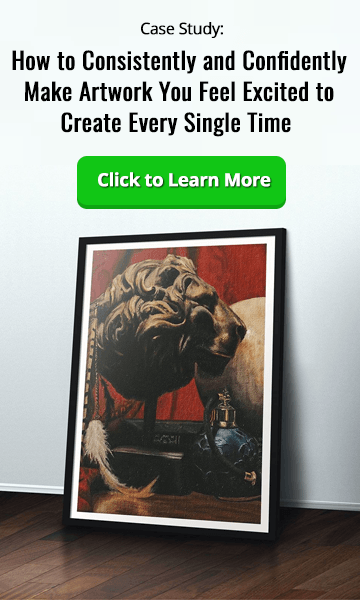 Memorizing the parts will help you develop a better understanding of its components so you can come up with a wide range of drawings and design concepts to impress people! So, if you’re ready, lets hop into the driving seat and get moving! There are bikes with three wheels and more, but for this lesson, we’re going to concentrate on a standard racing motorcycle with two wheels. The rear wheel is connected to the chain and the engine and drives the bike forwards. The front wheel is purely there for balance. Every vehicle needs fuel and this is contained in the combustion tank of our motorcycle. Typically, this is designed to follow the contour of the rider’s body and provide comfort when they’re leaning forward. Not only does this make for a comfortable ride, it’s also a pretty neat shape! The tank is filled via a petrol cap at the top. The engine is the heart of your motorcycle and there are many different sorts to choose from. As a concept designer, you don’t have to worry too much about the details here – as long as it looks like it’ll work, that’s usually enough! The frame is the foundation of your motorcycle – the element that holds everything together. As you can see on this image of a Ducati, frames are often based on a triangular construction, but there are many different varieties. The most important thing to remember is that your frame looks as if it could support the rest of the bike. Going back to our motorcycle concept design, you can see how the frame is the underlying structure upon which all the other elements are placed. 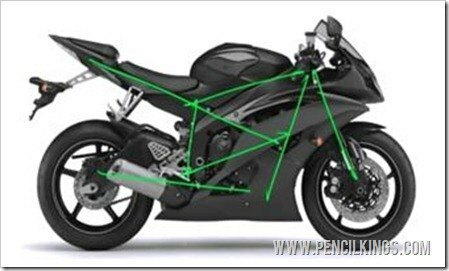 Remember, you don’t have to be an engineer for this project, but having a good basic understanding of the parts of a motorcycle will help you come up with some credible designs. 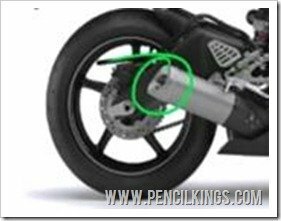 Without suspension, your motorcycle would probably fall apart! Located at the front and towards the rear, these handy springs absorb the surface of the road and iron out any bumps. When designing a motorcycle for a computer game or for concept design purposes, you can really go to town on these and create some sci-fi suspension. 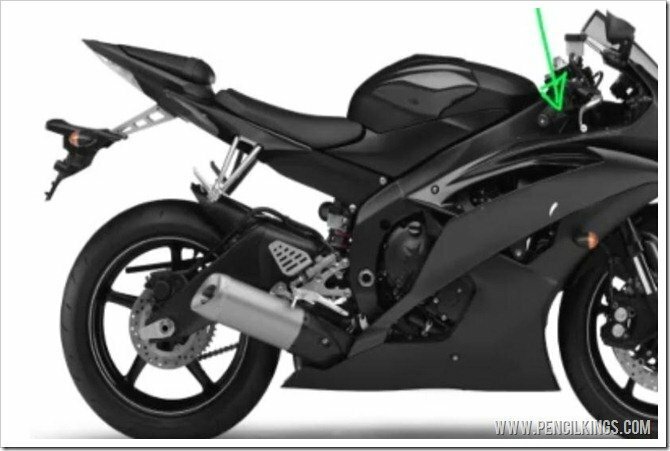 The front fork connects the front wheel to the rest of the motorcycle and is directly linked to the handlebars and suspension. There is a fork on each side of the front wheel and, when you turn the handlebars, the front wheel turns with you. Just like on a bicycle, these are there to steer the vehicle in whichever direction you want to go. This part of the motorcycle features brakes for the front and rear wheels and the instruments which tell you how fast you’re going etc. 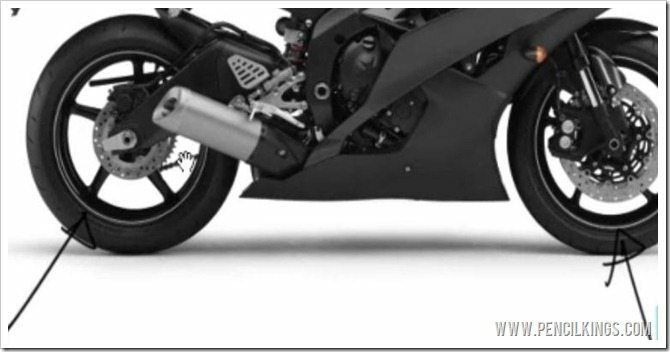 Located at the back of the motorcycle, this connects the rear wheel to the chain and the rest of the bike. 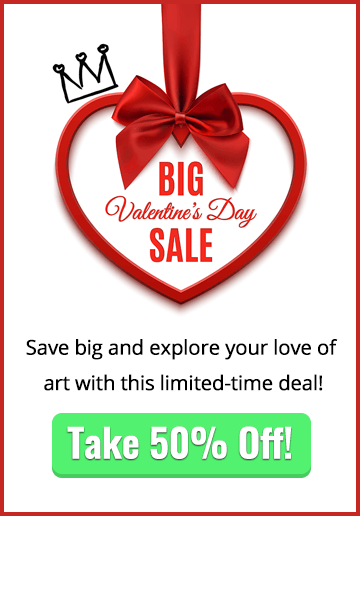 As a concept designer, this gives you plenty of scope for creating some futuristic shapes which will look awesome in computer games! 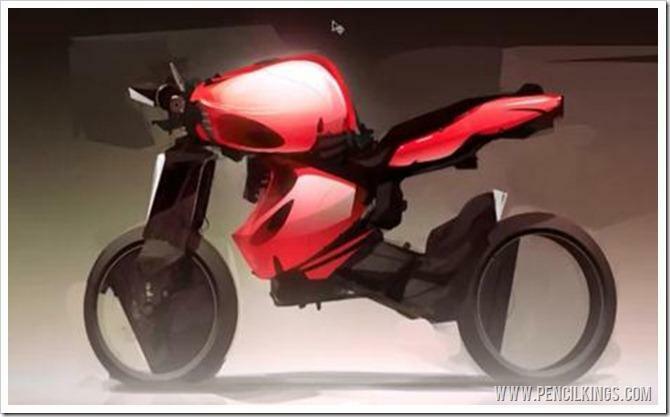 Here’s another part of the motorcycle where you can unleash your creativity. Put simply, the longer the exhaust, the more powerful your motorcycle will be. Take a look at the example designed by John Britten shown in this video and see how he’s used a long, spaghetti-like system to create an amazingly powerful vehicle. The seat needs no introduction – it’s the part of the motorcycle you sit on and is located just behind the tank! 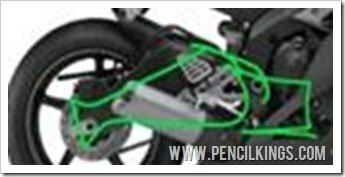 This is the aerodynamic structure surrounding the motorcycle and is probably the most important part for you, the designer. 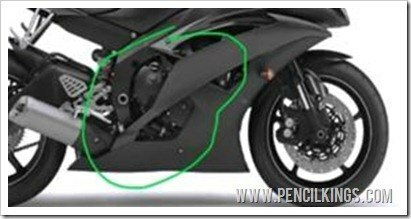 Imagine how the airwaves will pass over the surface of your motorcycle when traveling at high speed. If you didn’t have any fairings, your vehicle would probably take off! 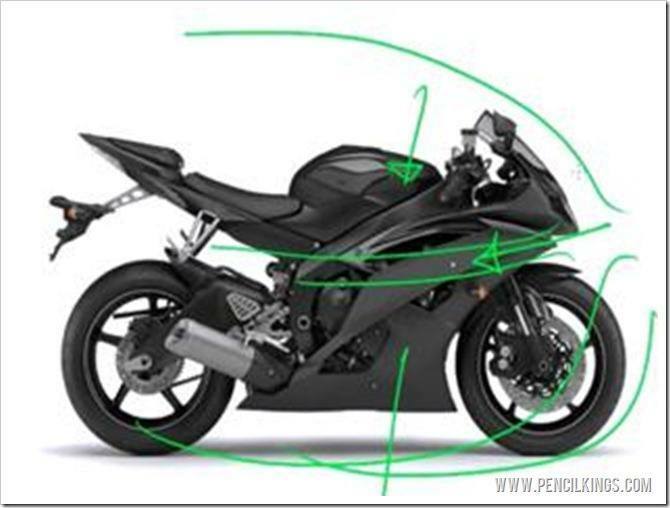 So, there you have it – the important parts of the motorcycle explained in one easy lesson. Take time to practice drawing each part in turn and memorize the forms – this will come in really useful for when you start creating your thumbnail sketches in the next lesson! If you enjoyed this article on drawing motorcycles, why not leave us a comment below?